And what a season it turned out to be. Patrick Kane’s first period goal in Los Angeles seems like it happened an eternity ago, as it started the incredible 24-game stretch that the Chicago Blackhawks would embark on without enduring a regulation loss. Pittsburgh, not to be totally outdone by Chicago’s feat, showed their offensive firepower by winning the 15 matches they were given in March, and in stunning fashion. Ironically, both Chicago and Pittsburgh saw their magical streaks become thwarted by much lesser oppositions, as Colorado and Buffalo shocked them with blow-out victories. Hey, even some of the clubs that are preparing for the golf links can take solace in knowing that they achieved something. For a couple of years, the Sidney Crosby versus Alexander Ovechkin debate as to who is the league’s greatest forward lost its hype. Injuries eliminated Crosby from the equation and Ovechkin’s stumbling performances were more prevalent than his star power. Prior to having his jaw broken by a slap shot in Long Island, Crosby was undoubtedly on his way to a Hart Trophy, and he still may very well win it. Around the time he was put out of commission, Ovechkin began to produce the staggering numbers that he is known for, surpassing Steven Stamkos for the Rocket Richard Trophy. Once again, the arguments revolving around who is the superior of the two can commence. Despite the lock-out’s conclusion, there were a few monetary disputes that still existed. Restricted free agents P.K. Subban, Jamie Benn and Ryan O’ Reilly held out on their clubs for salary advancements. All appeared to be forgiven in Subban’s case, as he returned quickly and wound up spearheading Montreal’s potent powerplay along with a healthy Andrei Markov. Dallas’ offer satisfied Benn and he donned his jersey almost immediately too, but was not nearly as influential towards his team’s cause as Subban, as the Stars finished on the outside of the playoff bracket. O’Reilly, the least proven player from this group, audaciously stuck to his guns until late February and even toyed with the idea of joining the Calgary Flames. Ultimately, Colorado succumbed to the pressure and matched the two-year, $10 million dollar offer sheet that Calgary drew up for the center. Money well spent? Sticking with Calgary as the topic of discussion, Jarome Iginla’s trade to Pittsburgh signaled an inevitable re-build for the Flames and gave one of the game’s great power forwards a legitimate chance to win the Stanley Cup. General Manager Jay Feaster also took it upon himself to get rid of Jay Bouwmeester, who will no longer be forced to consult a dictionary when discussing the postseason’s meaning. In a divisional sense, the Northeast proved to be the mightiest, with four of its five clubs qualifying for the playoffs, and the Southeast regained its moniker as the ‘South Least’. As the division winner again, and the last one due to re-alignment plans, Washington feasted on its supposed rivals. Florida, Carolina and Tampa Bay comprised the Conference’s bunker level. 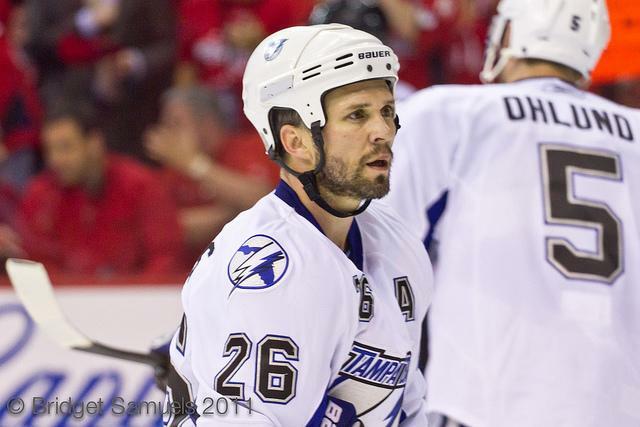 By winning the Art Ross Trophy at the age of 37, Martin St. Louis turned back the clock and showed how miniscule one’s birthday is in determining a player’s value. Buffalo, so often acquiring low-risk, low-priced players to slightly strengthen the team, threw away their previous instruction manual and under Terry Pegula, millions were invested in hopes of creating a powerhouse. That plan backfired disastrously and in addition to the dealing of former captain Jason Pominville for prospects and draft picks, news of Ryan Miller’s condo being sold suggests that the Sabres will be starting from scratch. If Lindy Ruff, the head coach for upwards of a decade, was not immune to being targeted, than no one definitively is. Some notable playoff droughts were broken at last, as Minnesota, Long Island and Toronto punched their tickets into the dance. While Minnesota is back in the postseason for the first time in five years and New York after six, the Maple Leafs are staring at their first appearance since 2004. Good for them to end the snide, but their reward is a Boston Bruins side that has dominated them in recent memory and made Phil Kessel resemble a pee-wee player. Sadly, for many avid onlookers, Minnesota’s entree put the Columbus Blue Jackets one point shy of the eighth and final seed. Led by Sergei Bobrovsky’s phenomenal goaltending, the Jackets endured just five regulation losses beyond March, almost making up for their poor start. For a while, it appeared as though Columbus would qualify and the New York Rangers, with the addition of Rick Nash, were going to fall short. Still, the Blue Jackets received plenty of plaudits for turning in such a respectable record, as the consensus was that they would be minnows after Nash’s trading. Ottawa, decimated by injuries to key players at virtually every position, clawed their way through tight games regularly and found a way to survive their trials and tribulations. In the shoot-out, the players are getting heightened ambitions, perhaps too much. Alexandre Burrows tried to be innovative on one particular occasion in Los Angeles, but it wasn’t as smooth as he intended it to be. Unfortunately, Daniel and Henrik Sedin are not permitted to help him on a break-away. Kaspar Daugavins’ ringette-style attempt in Boston was the gutsiest one by far and to his credit, he managed to execute it with great speed, but Tuukka Rask’s pad prevented it from crossing the line. 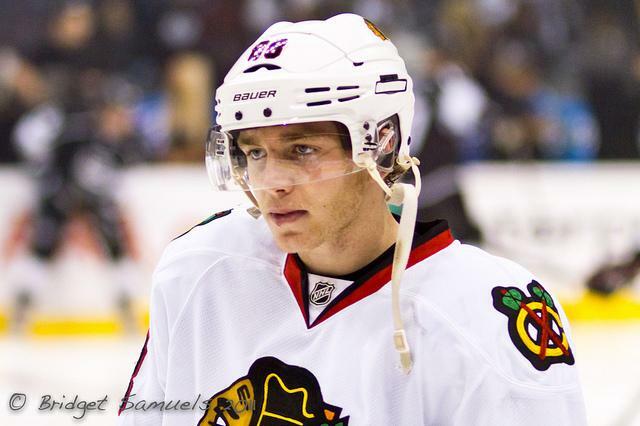 Although the Bruins were not impressed by Daugavins’ flair, they eventually got over it and claimed him off waivers. Edmonton iced yet another flashy rookie, Nail Yakupov, who was full of energy and cockiness in his celebratory acts. First there was his slide across center ice that got him into Don Cherry’s rant, then he got on the nerves of the Phoenix Coyotes by arrogantly awaiting for his teammates to join him. The Russian saved his best for last, as he netted a hat-trick in Edmonton’s season finale against Vancouver. Yakupov’s first goal was followed by exuberant jumping, later humorously mimicked by Tom Sestito. Upon completing the hat-trick, he reminded the audience of how many goals he was up to on the night. Following the match, Roberto Luongo, who conceded 7 goals that evening, stormed out of Rexall Place on his own in a matter of minutes. Who says a half-season cannot be as enjoyable or jam-packed with fascinating tales? National Hockey League games were supplied in a lesser bulk in 2013, but the amount of intriguing story lines that arose more than compensated for that factor.